You put in all the hard work to build a company and team you are proud of. And now it’s time to let your company’s strengths, values and notoriety shine through in your event. But event planning is likely not your specialty, so how will you plan one that represents your expertise and high standards? The answer is by placing trust in an equally dedicated and motivated team that delivers exceptional event experiences. Our team offers all the guidance your event goals and vision need to flourish—representing all your company does well. Employees and clients alike trust that you use their resources wisely. From time to money, they know everything they give you is in good hands. Make sure your event exemplifies this appreciation for resourceful use of inputs. 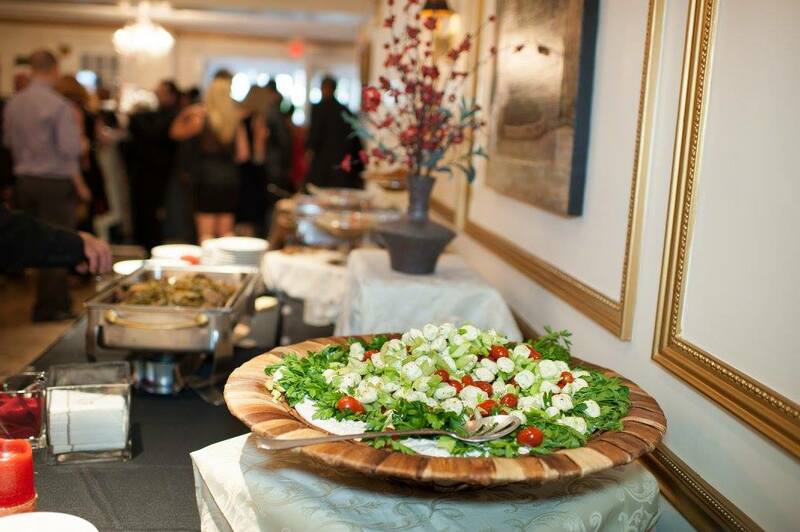 By working with a full-service caterer backed by six decades of experience, your event ideas are executed with ease and flawless efficiency. From planning your event with the help of our intuitive website, talented event planners and in-house rental department to choosing the perfect party favors, we ensure every aspect of your event delivers more than you could imagine your budget supporting. 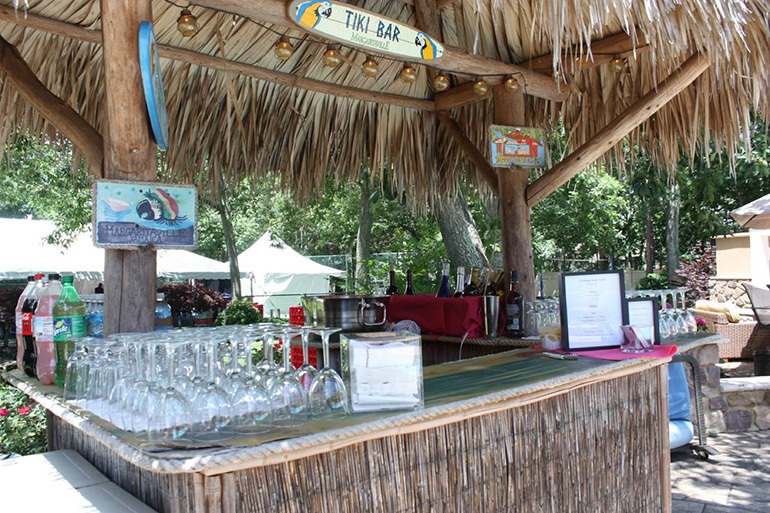 Where you choose to host your company event greatly impacts the experience guests enjoy. Not only does it help establish your event theme and atmosphere, but it can also evoke memories, emotions and passion among guests. Our event planners also understand that there are many other essential considerations like amenities and convenience of location. 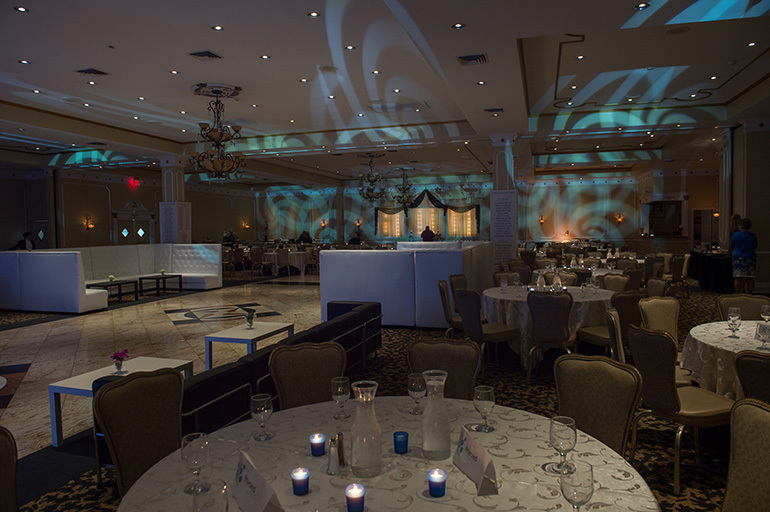 We are here to help you sort through all your phenomenal New York and New Jersey venue options and provide inside advice regarding their attributes. Sandy Hook Chapel: The perfect place for a corporate picnic intended to relax, reward and bond employees. Nestled between the bay and the ocean, it sets a carefree vibe. Asbury Park Convention Hall: This immaculate venue is a top pick for companies planning large events for thousands of excited guests. With Bruce Springsteen, Frank Sinatra, Elton John and the Rolling Stones having played here, you’re set to rock n’ roll all night! Small touches like upgraded linens go a long way in demonstrating your company’s attention to detail and appreciation for the little things that can make a big difference. Our event planners can help you elevate seemingly simple decorations to deliver an impressive experience. However, they also encourage you to explore some bold focal points that spark ingenuity and innovation among your guests. From an ice carving with the company logo to an illuminated logo on the wall, there are lots of creative ways to display your brand. We can help you determine where to allocate your time and money to give your guests an incredible experience. Many companies think they need to spend a lot on décor and entertainment to light up the scene. However, by investing in the right venue and menu, your event will need few additions. You’ll be amazed by the dynamic experience that action stations can create in the right event space. With the right expertise by your side, a solid estimate of how to allocate your corporate event budget is: venue – 25%, food – 50%, décor – 12.5%, entertainment – 12.5%. One look at our 2018 corporate event menu and you will know your guests are in for a first-class culinary experience. With no doubt in your mind that they will enjoy delicious food artistically presented, it’s time to start thinking about what menu items match your style and event theme. 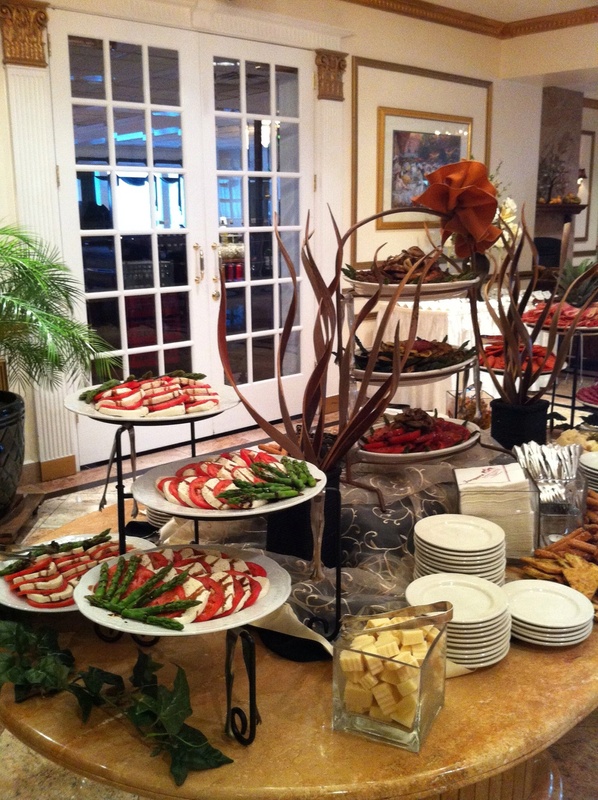 Our themed buffets make crafting a menu for every type of celebration from St. Patrick’s Day to Oktoberfest a breeze. 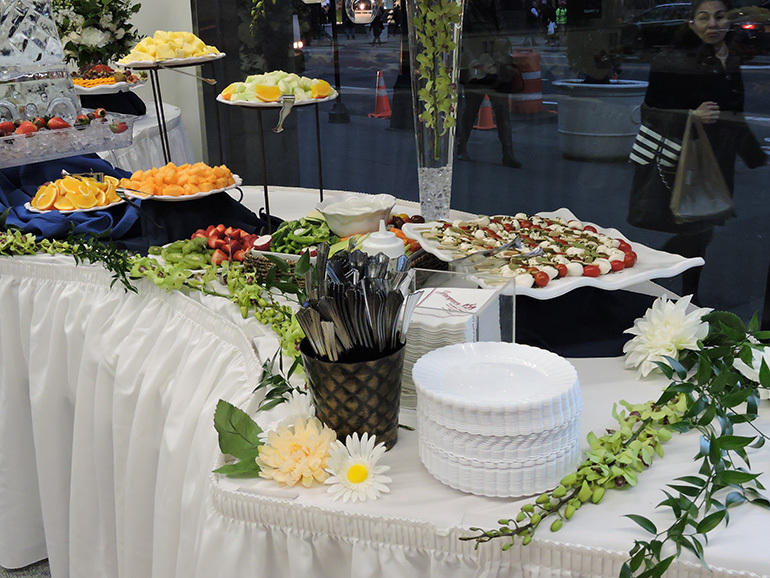 But the wide variety of a la carte items and buffet packages also provides plenty of room for you to design one unique to your creative event ideas. The road to an exemplary company event starts with your vision. If you would like our experienced team to handle it with the great care and expertise that it deserves, contact us online or give us a call at 866.522.7873.